Heat oven to 375°F. Separate dough into 8 rolls; unroll to make strips. Cut each dough strip into 3 equal pieces; twist. Set icing aside. Place twists on ungreased cookie sheet. Bake 14 to 16 minutes or until golden brown. 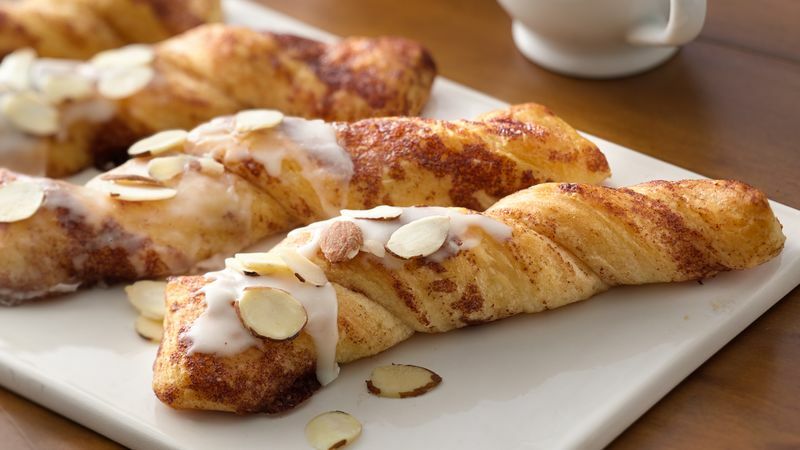 Immediately spread half of each twist with icing; sprinkle with almonds. Serve warm.